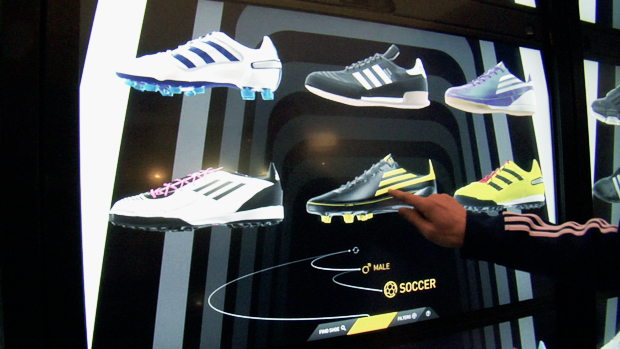 Footwear fanatics will no longer have to trek to some massive metropolitan shoe shrine to ogle the latest products if Intel’s dazzling virtual footwear wall catches on with retailers. Footwear fanatics will no longer have to trek to some massive metropolitan shoe shrine to ogle the latest products if Intel‘s dazzling virtual footwear wall catches on with retailers. 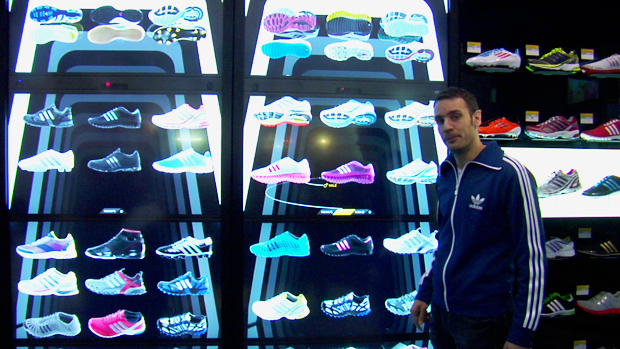 Unveiled today at the 2011 National Retail Federation’s convention in New York, the magical spinning interactive adiVerse Virtual Footwear Wall potentially puts as many as 8,000 shoes at shoppers’ fingertips in a futuristic mash-up of e-commerce and the mall. 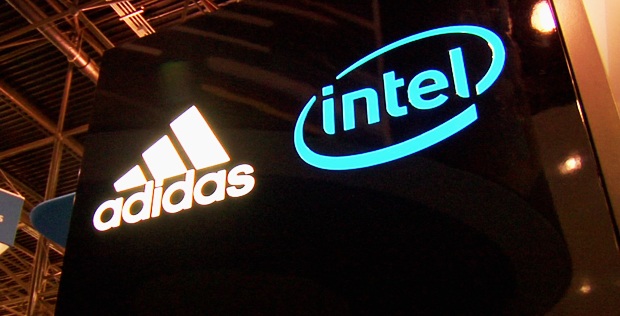 Intel partnered with Adidas to show off what the wall might look like, and the results are pretty sweet. Designed by U.K. shop Start Creative, the wall renders products in 3-D, and allows a shopper to spin and zoom in on the shoes, and call up specs from a touch-screen display. Particularly hot models, like the company’s F50 soccer shoe, have accompanying video and relevant information (like the fact that F50-clad feet scored 44 goals in last year’s World Cup). Supplemented by a supply of actual shoes that can serve as fit models, the display wall allows retailers to deliver massive inventory in a relatively small space. “We’ve leveled the playing field for small retailers,” says Chris Aubrey, VP, Global Retail Marketing for Germany-based Adidas. “They can now act like a big flagship store in a town like New York.” Not to mention the fact that the installation turns flat walls into prime selling space. Aubrey says a prototype store will likely roll out in about a year in the U.K. — a country that’s nearly as enthusiastic about e-commerce as the U.S., but close enough for executives from the company’s European headquarters to keep a close eye on how the wall is working out. “Germany itself still lags a bit,” in its appetite for online shopping, Aubrey says.